Lindare Medical work in partnership with Premia Spine to offer a spinal stenosis treatment through the innovative TOPS™ System. This system is specifically designed to offer improved motion and stability for patients suffering with spinal stenosis and spondylolisthesis across the UK and is available via both NHS and Private Hospitals. Daily activities such as carrying and lifting, along with the natural ageing of the spine, causes wear and stress on the joints of the back. This can lead to nerve pressure within the spine and cause severe pain. Upon reviewing an MRI, CT scan and/or X-rays a consultant may diagnose a patient with spinal canal narrowing (stenosis), a slipped disc (spondylolisthesis) or degeneration of the facet joint (facet arthrosis) and recommend to open the nerve pathways. This procedure (also known as a ‘decompression’) is often combined with a fusion procedure which involves the placement of pedicle screws and rods to stabilise the lower back after operation. 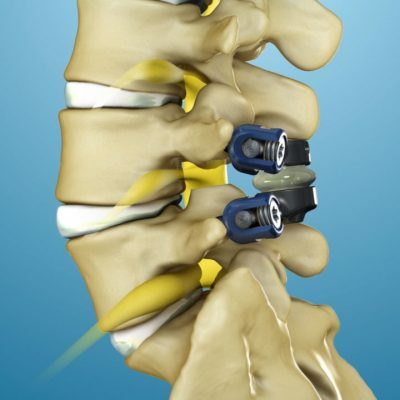 The TOPS System is a form of spinal stenosis treatment which features a mechanical device that restores motion in all directions of the spine – flexion, extension, lateral bending and axial rotation. The implant facilitates bending, straightening and twisting movements at the affected level of the spine while blocking excessive sagittal translation motions. Pain relief is achieved when a surgeon removes the bone elements that press on nerves in the spine. Upon completing the decompression, the surgeon implants the TOPS System to replace the diseased skeletal structures and stabilise the spine instead of permanently locking the two vertebrae with a fusion. 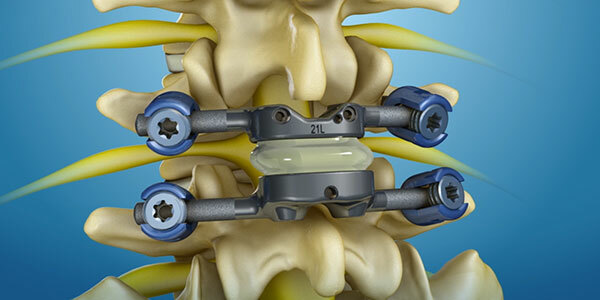 This allows the two vertebrae to continue moving normally with the assistance of the TOPS implant, as opposed to fusing the vertebrae together which restricts movement. The internal stoppers of the TOPS System replace the removed boney elements that served as stoppers during axial rotation, flexion, extension and side bending to result in restored motion. As there is no fusion taking place in the lower back with the TOPS System, there are few restrictions on activity after surgery and allow the patient a better range of natural movement, making spinal stenosis treatment a preferred option. Full recuperation varies from patient to patient however in most cases the patient experiences an immediate benefit and then progressively improves as they undergo a strengthening and rehabilitation program. 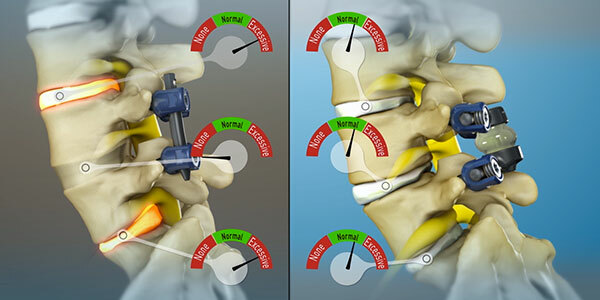 The TOPS System doesn’t fuse any vertebrae together which allows the patient a normal range of movement by comparison to spinal fusion technology. Research has demonstrated better outcomes than lumbar spinal surgery with 34% better success rate than spinal fusion. Premia Spine’s TOPS™ System stabilises the posterior spine and reestablishes a controlled range of movement, regaining the ability to bend, flex, walk and enjoy normal everyday activities. In most cases the TOPS System gains immediate and sustained pain relief. The TOPS™ System is backed by several hundred patients and clinical study results since 2005 due to its ability to both stabilize and recreate physiologic motion in patients, offering an effective form of spinal stenosis treatment. 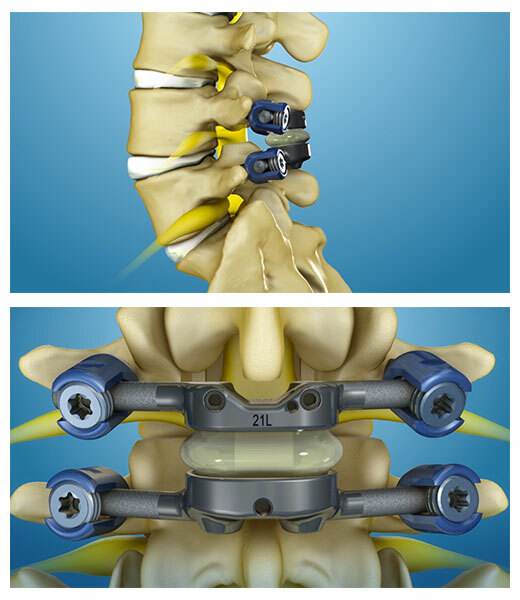 The mechanical device is housed between two titanium plates, which allows axial rotation, lateral bending, extension, and flexion while blocking excessive posterior and anterior sagittal translation. The TOPS™ System is also affixed with four proprietary polyaxial pedicle screws via a standard posterior surgical approach. If you would like to know more about TOPS System spinal stenosis treatment then please feel free to get in touch.